When I have parties I've been serving dishes out of mixing bowls (the scratched up metal ones). Not classy. So I decided it's about time I invest in a nice serving bowl. I ran to Target thinking I'd be spending about $20-$30, but I scored a beautiful glass bowl from Target for only $7.99! My favorite part is that the bowl is wide at the bottom so I can use to not only serve salads or pastas, but also pretty layered desserts. So this is where the banana pudding comes along. It's always been one of my favorite desserts, to eat and make. No baking or cooking necessary! Plus it's always fun finding new ways to present the dish. I hope you try this recipe & have fun decorating it! In a large mixing bowl beat the softened cream cheese until it's fluffy. Add the pudding mix, milk and vanilla and beat until mixed well. Fold in the cool whip. Refrigerate the mixture to set for a few minutes while you do the next step. In your serving bowl, line the bottom with a layer of vanilla wafers. On top of that add a layer of bananas. Remove the pudding mixture from the fridge and carefully add a layer of pudding (about 1/3 of the mixture) in the serving bowl until the bananas are covered. Add another layer of cookies and bananas. 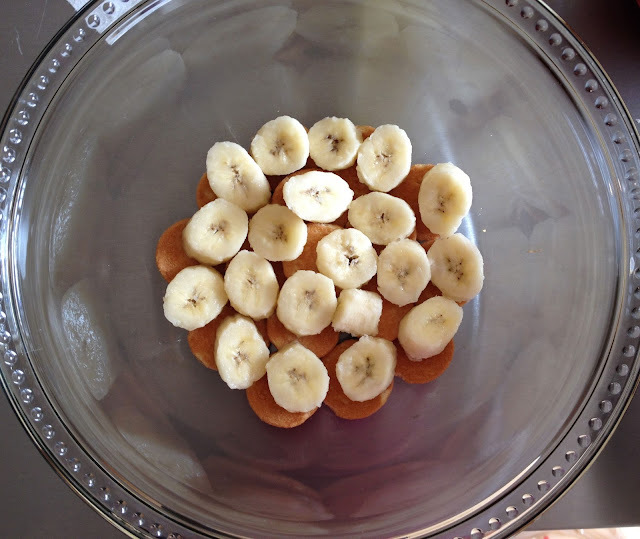 If you have a clear bowl you can line some cookies and/or banana slices around the walls of the bowl for decoration. 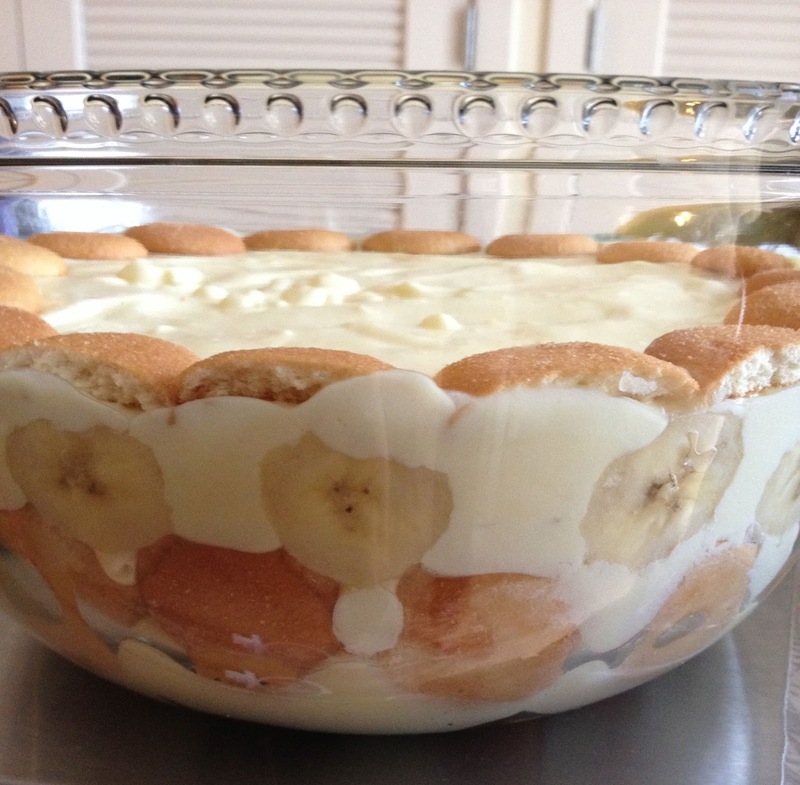 Add the remaining pudding and banana slices. Then start decorating the top! I went simple with just Nilla wafers broken in half, but you can use bananas, cookies, cool whip, strawberries, chocolate curls, etc. Enjoy! And be sure to share! 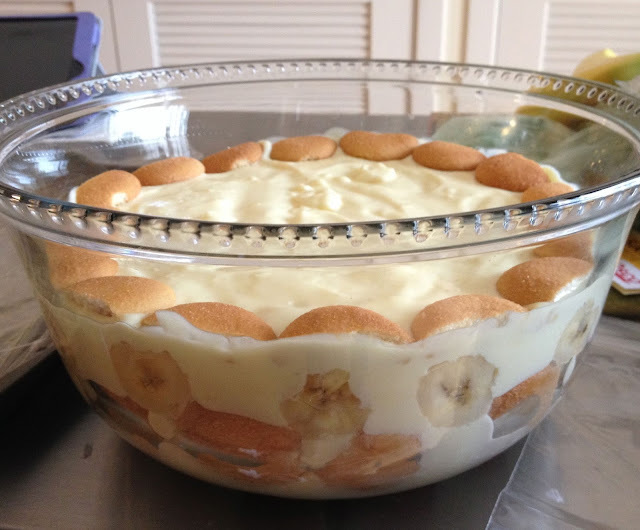 My Nana made the best banana pudding, yum! Goodness me, this looks so yummy! I love anything with whipped cream!